Good evening. 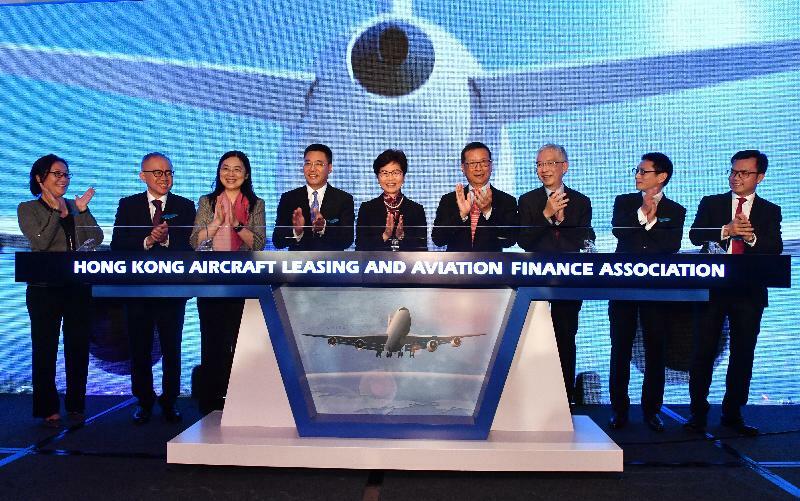 I am most pleased to attend the inaugural ceremony of the Hong Kong Aircraft Leasing and Aviation Finance Association, a major milestone which signifies the development of a new vibrant business in Hong Kong. Hong Kong has been consistently ranked as the world's freest economy by the Heritage Foundation. We have also been named as the world's most competitive economy by the International Institute for Management Development. Such recognition does not come easily. You all know that I am a staunch believer in Hong Kong's unique advantages, with conviction to the rule of law and commitment to provide a level playing field. All these provide an ideal breeding ground for entrepreneurship. With a new, proactive style of governance and a new fiscal philosophy to manage our finances wisely, the HKSAR Government is committed to injecting new and continuous impetus to Hong Kong's economy. We are determined to actively enhance the Government's role in boosting our economic vibrancy. While we spare no effort to step up policy co-ordination, and consider various ways to enhance our business friendliness and tax competitiveness, we have also been preparing ourselves for accommodating new businesses in order to diversify our economy. To this end, promoting high-value-added aviation services including aircraft leasing is one of the key areas that we are pressing ahead. Civil aviation is a long-term growth business. According to the latest Market Outlook published by Boeing, global aviation passengers are expected to increase at about 5 per cent per annum while passengers in the Asia-Pacific region at about 6 per cent per annum over the next two decades. The number of new aircraft delivered worldwide and in the Asia-Pacific are estimated at over 41 000 and 16 000 respectively. As a global financial centre and international aviation hub, Hong Kong already possesses favourable conditions necessary to thrive as an aviation financing hub in Asia: free economy, the rule of law, sophisticated legal services, robust financial services infrastructure, a mature banking system with effective and transparent regulations, excellent aviation infrastructure and a strong pool of talents in both the financial services and aviation sectors. Under the "one country two systems", Hong Kong as a Special Administrative Region of the People's Republic of China enjoys excellent access to the vast Mainland market. Our strong business ties and experience built up in the past three decades constitute our added advantage. Thanks to the support we received from the Central Authorities, the withholding tax rate between Hong Kong and Mainland China has been lowered since December 2015 to 5 per cent, which as far as I know, is the lowest among all existing aircraft leasing hubs in the world. To take forward the initiative of developing aircraft leasing business in Hong Kong, we have amended the relevant legislation to provide a dedicated tax regime. Profits tax concessions are given to qualifying aircraft lessors and qualifying aircraft leasing managers. Policy and tax incentives aside, the Government cannot act alone to build up our aircraft leasing and financing sector. 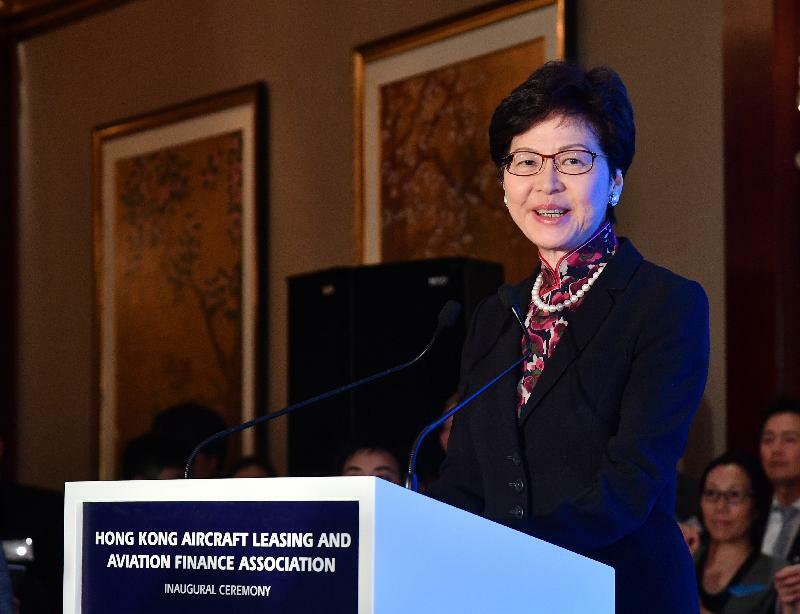 This is why I am very pleased to witness the inauguration of the Hong Kong Aircraft Leasing and Aviation Finance Association tonight, which helps put Hong Kong in the global market of aircraft leasing and its related business. I know that international players including the world's top lessors and leasing managers are here with us in Hong Kong for the world's most prominent business conference on aircraft leasing and aviation finance. We are glad that the market players are sharing the same excitement and anticipation for the business potentials of aircraft leasing in Hong Kong and hope to see some fruitful discussions taking place here. On behalf of the HKSAR Government, may I once again congratulate the inception of the Hong Kong Aircraft Leasing and Aviation Finance Association. We look forward to having you as our important partner in promoting the business opportunities lying ahead.